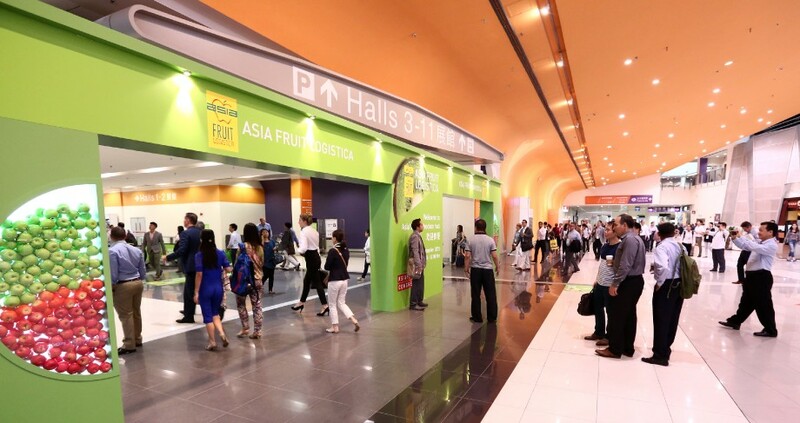 Stands for Asia Fruit Logistica 2014 are selling fast, with reserved exhibition space up by almost 30 per cent on the same stage last year, according to organisers Global Produce Events (GPE). Asia’s leading fresh produce trade show returns to Hong Kong’s AsiaWorld-Expo Centre on 3-5 September 2014. Exhibitors from some 31 countries have already signed up to take part, underlining the international quality of the event and the increasing global interest in Asia’s fresh fruit and vegetable business, GPE said in a press release. Some seventeen different countries have booked national pavilions at the show, including Argentina, Australia, Belgium, China, Chile, Ecuador, France, Greece, Italy, Malaysia, Mexico, New Zealand, the Netherlands, Peru, South Africa, Saudi Arabia and Taiwan. A host of companies from around the world are exhibiting for the first time at Asia Fruit Logistica this year, including leading New Zealand apple grower-packer exporter Mr Apple. Cool Fresh International, a global fresh produce group headquartered in the Netherlands with a subsidiary in China, is also making its debut appearance at the show with a 50m2 stand. A record 6,500 visitors from 64 different countries attended Asia Fruit Logistica 2013. More than three quarters of them held leading management positions in their companies, while 89 per cent of them were closely involved in the purchasing and procurement decision-making process, according to visitor survey results. With just under six months to go before Asia Fruit Logistica 2014 opens its doors, GPE Is advising companies to book now to secure their space and access the opportunities in Asia’s rapidly growing fresh produce markets. Asiafruit Magazine is the official media partner to Asia Fruit Logistica.